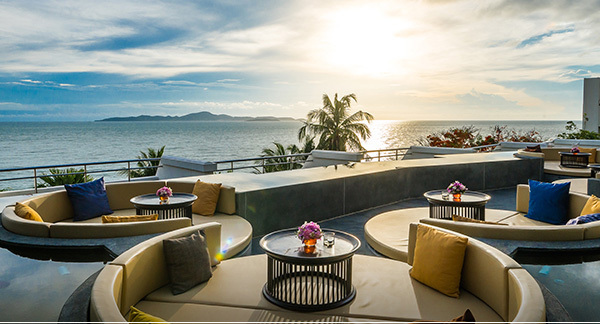 Planning a trip to the vibrant city of Pattaya soon? Visiting a dynamic city means never having a dull moment during your holiday. Pattaya provides fun opportunities for rest and recreation with its amazing entertainment options. Whether you're looking for a quick escape or an all-day excursion with your family or friends, this vibrant city offers something for everyone. As one of our guests, you have the advantage of getting special privileges and discounts from our popular Pattaya partner attractions. Along with picturesque ocean-view rooms and suites, heavenly spas, breathtaking infinity pools to award-winning restaurants, experience the best that the city has to offer with our new special limited deal exclusively available just for you! You will automatically be entered into our special lucky draw and have a chance to win special prizes when you book a room or suite between 22 May 2017 – 20 June 2017 for stays until 31 December 2017! You might be one of our lucky subscribers to win complimentary tickets to Cartoon Network Amazone Waterpark or a special ladies beauty bag containing premium products from partner brands namely, History of Whoo, Mille Thailand, Akaliko and Bioderma Laboratoire Dermatologique. 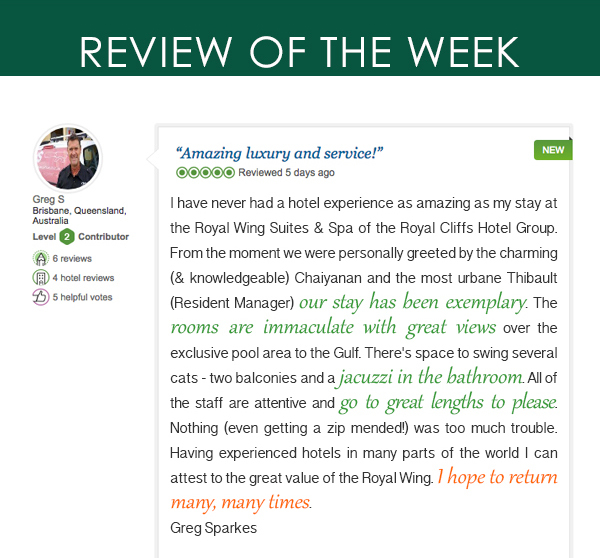 Just type in the promotion code 'LUCKYCLIFF' when you make a direct online booking through our website for all room categories or quote this code when contacting our Marketing Communications Team at (+66) 38 250 421 Ext: 2845 or emailing: marcom@royalcliff.com. No one does action and adventure better than Cartoon Network Amazone! Experience some of the fastest water rollercoasters in the world as you hurtle down to a splash landing from a massive 23.4 meter high tower or summon all your courage and get your g-force on with their 17 meter vertical free-fall. 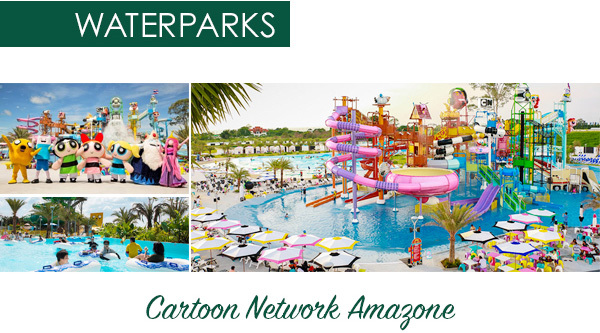 You can spend the entire day discovering over 150 water attractions in 10 entertainment zones. Ramayana Waterpark is located within the natural beauty of the Silver Lake area. Its amazing scenery will make your visit a unique experience. Enjoy thrilling water rides, float in the lazy river, relax in a private cabana or enjoy the unique food experience for a fun and memorable day out with family and friends. FROST Magical Ice of Siam, features an exhibit of sculptures from Thai literature, interesting ice sculptures, ice bar and a –10°C play room with ice slides. This attraction is the perfect way to beat Thailand's tropical heat! It covers an area of 30,000 square meters and is located on the KraTingLai junction. The Kaan Show Theater showcases a spectacular cinematic live experience which is the first in Asia to combine the acrobatic skills of Cirque Du Soleil, artificial intelligence, projection mapping and robotics. Inspired by famous Thai literatures, including the Ramayana, Pra Apai Mani, Krai Thong and many more, the show seamlessly combines these epic stories into one. Storytelling is told through the use of world-class technology and special effects that will let audiences experience a never before seen adventure. For more information about other popular attractions around Pattaya, please visit: http://www.royalcliff.com/upload/e-brochure/2017/pattaya-attractions/en.pdf. For sightseeing options, our partner tour operator located at the Royal Cliff Grand Hotel is also available to assist you. To purchase passes to our partner attractions, please contact our Guest Relations Officers at (+66) 38 250421 Ext. 2037 or send an email to gro-main@royalcliff.com.